A little 13-year-old girl has left her family members in shock after she killed herself over a disagreement with her brother. 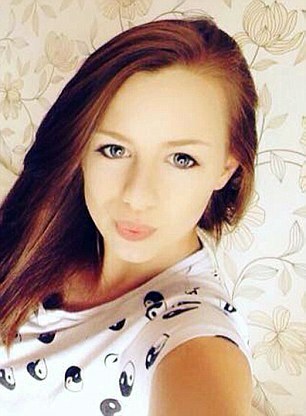 A schoolgirl hanged herself after writing 'I hate my brother' on her arm following a sibling row, according to a report by Dailymail. The girl identified as Bethany Fitton was found by her 18-year-old brother Ben after they had squabbled over something trivial. 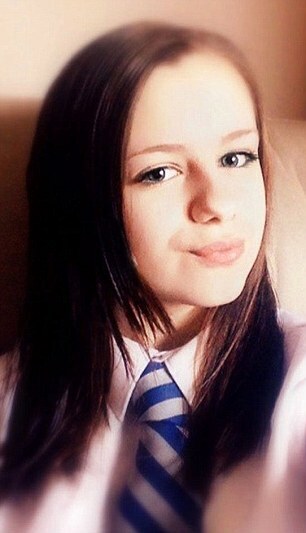 An inquest heard the 13-year-old, described by her school as an 'outstanding' pupil, was found hanging at their home in West Yorkshire. Before her death, Bethany was a popular and happy girl who had a 'typical relationship' with her brother, the inquest heard. Ben told police he and his sister would regularly squabble about 'silly little things' and said the row that morning had 'been a 4 on a scale of 10'. She described Bethany as a 'reliable and capable' girl with a lot of common sense. On the morning of her death on June 22 last year, the pair had argued because Ben had slept late and Bethany did not wake him. During lessons later at Calder High School in Mytholmroyd, West Yorkshire, she doodled on her left arm in ink, 'I hate my brother'. Bradford Coroner's Court heard she regularly scribbled on herself. After leaving school, Bethany met her new boyfriend for a walk in the local park before catching the bus home to have her tea. Bethany's accountant father Richard was still at work and her older brother had gone to the cinema with his girlfriend. Her mother Estelle said Bethany took her dinner upstairs and played music. She said when Ben returned home, he was asked to take a basket of laundry upstairs - and found his sister hanging. He and his girlfriend untied Bethany and gave her CPR. She was taken to Calderdale Royal Hospital and then transferred to Leeds General Infirmary, but her brain had been starved of oxygen and she died on 25 June. 'I knew she had written something [on her arm] but I was not aware of what she had written,' Ben told police. Neither parent was called to the inquest but Bethany's uncle Dr Julian Wadsworth, a GP attended and said she was 'making that difficult transition between being a child and being an adult'.